M. L. V. Textile & Engineering College, Bilwara (MLVTEC),Admission, Courses, Fees, Photos and Campus Video, Review, Ranking Details. To provide state of the art equipments for R&D facilities in specific areas of engineering and technology for intra mural research & development, education and training. To generate industry oriented competent manpower to meet the needs of globalization and cut throat competition. To provide advanced knowledge/know how to students in the new areas of relevance through short term training/continuing education program. To provide effective linkage between industry and our college for sponsored research and consultancy including foreign collaborative research/project work. To temper learning with universal spirit of common good ethics and vedic preaching. To inculcate team spirit in the students as well as faculty and staff to acheive stake holders' delight..
To ensure continuous and comprehensive enhancement of knowledge and skills of faculty to keep pace with fast changing technology. To provide pollution free vibrant environment. M. L. V. Textile & Engineering College, Bilwara (MLVTEC) Engineers move the world; this is adage acquires greater significance as modernization increases. Highly skilled technocrats are the backbone of any industry and to fulfill the public demand, the genesis of Manikya Lal Verma Textile & Engineering College took place twenty years ago and is affilated to Rajasthan Technical University, Kota Since then it has been a saga of trials and toils, progress and prosperity. The College is committed to provide state-of-art technical education and vibrant academic environment. S.No. Faculty Name Designation Branch Highest Degree Prior Experience Appointment Date CAS Benefit PAN D.O.B. MLVTEC provides 24 hrs. Internet facilities is available for all the students and faculty members. The Local Intranet Website is developed to facilitate Students and Faculty Members. Intranet is accessible only to students & faculty in the college premises . Training and Placement Cell is an integral part of the institute. 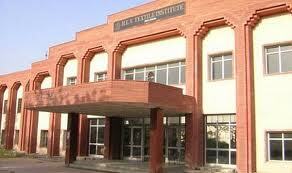 The institute has provided complete infrastructure for effective functioning of the cell. Training activities are organized throughout the year in an effort towards preparing the prospective students for the campus selection programmes. The cell keeps on inviting various industries and reputed firms for campus recruitment. It modules the engineering grades into young corporals. The cell is sensitized to function all through the year towards generating placement and training opportunities for the students. Reputed industrial houses across the country visit our institute regularly for the campus recruitment programmes. The placement cell coordinates quite well with the corporate sector and provides well-developed infrastructure to facilitate the campus selection programmes. The cell maintains a very cordial relationship with all the recruiting industries and also prepares the recruited candidates to face the competitive world. Tel No. : +91-1482-240822 , 241292 . Tel No. : +91-1482-240822 , 240092 , Ext. 213. Tel No. : +91-1482-240822 , 241292 , Ext. 112. The infrastructure also includes hostels for the students with separate hostel facilities for girls and boys.The facilities include playground, mess and there is a provision for staff residence in the coming years. For outstation students taking accommodation, a likely question that arises is of living facilities. Many outstation students would be concerned with accomodation facility which could be affordable, safe and within the college premises. We are pleased to inform that the college has its own hostel accommodation with a capacity of 75 students. The College has separate facilities for girls and boys. Students should note that college shall allot the accommodation on ANNUAL BASIS and as per the college norms.